This Is the World’s Fastest Rollercoaster In Action…..
We knew the world’s fastest rollercoaster was a Ferrari, but we never saw this 150mph crazy ride action. Here it is, shown by Ferrari Formula 1’s pilots Fernando Alonso and Felipe Massa. Zero to 62mph in two seconds. Terrifying. Since splitting from husband Jordan Bratman, Christina Aguilera has been living the single working-mom lifestyle and says she appreciates the many other ladies out there who are doing the same. “More power to single moms” is her new mantra. 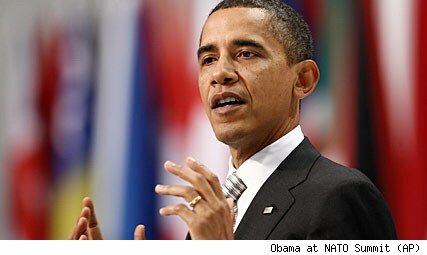 NATO Summit ‘Extremely Productive,’ a Satisfied Obama Says…. The Obama team on the ground at the NATO Summit in Portugal is flying home pleased. It has been, the president declared, “an extremely productive two days” in Lisbon. Indeed major goals for the future of Afghanistan and the relationship with Russia have been met. For the former, there will be an ongoing, integrated relationship, a continued flow of aid, assistance, and training. For the latter, Russia, there’s been a “restart” of relations, on ice for the last two years. Europeans and Americans hope that the chilly period between the U.S. and Russia has ended and will be significantly warmer going forward. Box office: ‘Harry Potter’ hits new heights, Russell Crowe flops…. Harry Potter has cast his biggest opening-weekend spell yet, thanks largely to fans who rushed to midnight screenings late Thursday. “Harry Potter and the Deathly Hallows: Part 1” sold $125.2 million of tickets this weekend, according to an estimate from Warner Bros. That’s 23% higher than the previous biggest first weekend for a “Potter” film, though ticket prices have risen over the years and the last two sequels opened on a Wednesday, not a Friday. Also, the new movie benefited by playing in more digital and large-format theaters, which carry higher ticket prices. For “Deathly Hallows,” Saturday and Sunday ticket sales were nearly identical to the last series entry to start on a Friday, “Harry Potter and the Goblet of Fire,” which launched in November 2005. The major difference came from Thursday’s midnight shows, when the new film raked in $24 million, compared with $6 million for “Goblet of Fire.” That accounted for $18 million of the $22-million advantage for this year’s picture. That reflects changing moviegoing habits as it has become increasingly common in the past five years for moviegoers to rush to see a film as early as possible, noted Warner domestic distribution chief Dan Fellman. TSA chief: Screening may evolve…..
TSA’s new flexibility comes as the government gears up for a flood of travel over the Thanksgiving holiday weekend. Administration officials say any changes are more likely to be in the implementation of the security procedures than in the security measures themselves. Pistole’s statement to POLITICO modified his vow a few hours earlier on CNN’s “State of the Union” that the procedures were “not going to change.” Both President Barack Obama and Secretary of State Hillary Clinton said over the weekend that the administration was continually looking for ways to refine the screening to make it less intrusive and frustrating. 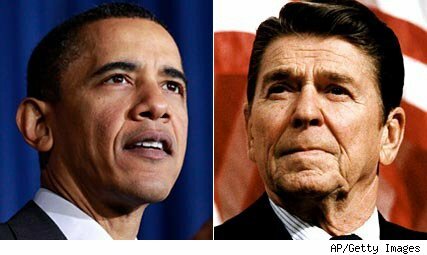 Can Obama Emulate Reagan and Clinton — and FDR?…. As a biographer of Ronald Reagan, I’ve been asked if Barack Obama can recover from the catastrophe of the midterm elections to win a second term, as President Reagan did in 1984 when he carried every state except Minnesota, plus the District of Columbia. In a post-election press conference after the Republicans won the House last week, Obama took note of what Reagan had done and also of the comeback by President Bill Clinton, who was reelected in 1996 two years after the GOP captured the House for the first time in 46 years. Obama might also have mentioned the president with whom he claims the greatest affinity, Franklin D. Roosevelt, who two years after significant midterm reversals in 1938 won an unprecedented third term in 1940. We learned in school that a valid analogy is a comparison in which the essential similarities outweigh the essential differences. Do any of these comparisons measure up? There are certainly a number of similarities. Talking of hope and change, all of these presidents won election in hard economic times with messages that stirred the electorate. All had congressional coattails of varying length. Reagan, the only Republican in the group, especially benefited when his party captured the Senate, which proved critical to his success. Three of the four presidents — FDR, Reagan and Obama — rallied public support for major measures they had advocated as candidates and were able to get these bills, or most of them, through Congress. And all these presidents saw their popularity fade when their reach exceeded their grasp or when the economy responded slowly to their favorite nostrums…..
“I think first and foremost, [the election] was a referendum on the economy. And the party in power was held responsible for an economy that is still underperforming and where a lot of folks are still hurting,” said the president. Giving his first in-depth interview since a disastrous election day for Democrats, a downbeat Obama focused on his role in the electoral defeats.